We aimed to systematically evaluate the accuracy of nCD64 in diagnosing infection in patients with autoimmune diseases. Studies were searched in PubMed, Embase, Cochrane Library, China National Knowledge Infrastructure, Wanfang, and Chongqing VIP databases up to October 2018. There was no restriction for language and age. 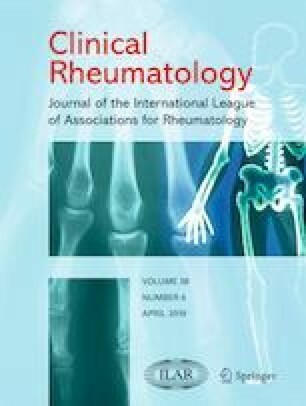 Prospective studies examining the accuracy of nCD64 in diagnosing infection in patients with autoimmune diseases were included. The Quality Assessment of Diagnostic Accuracy Studies-2 tool was used to assess the quality of eligible studies. Stata 15.1 and Meta-DiSc 1.4 software were used for data analysis. Eleven studies fulfilled the inclusion criteria (677 patients, 229 patients with bacterial infection, and 448 without infection). The pooled sensitivity and specificity of nCD64 were 89% (95% confidence interval (CI) 82–93) and 94% (95% CI 91–96), respectively. The pooled positive likelihood ratio and negative likelihood ratio were 14.9 (95% CI 9.3–23.8) and 0.12 (95% CI 0.07–0.20), respectively. The diagnostic odds ratio and area under the summary receiver operating characteristic curve were 123 (95% CI 53–283) and 0.97 (95% CI 0.95–0.98), respectively. The univariate meta-regression analysis showed that region, type of disease, antibiotic therapy, and presentation of nCD64 measurement results were responsible for the heterogeneity. The Deeks’ funnel plot asymmetry test showed that there was no publication bias (p = 0.15). nCD64 has a good overall diagnostic performance for differentiating infection from disease flare in patients with autoimmune diseases. Further studies are needed to confirm the optimized cutoff value. We thank the Second Affiliated Hospital of Chongqing Medical University for providing research platform. This study was funded by Health Commission of Chongqing, China (2016ZDXM010).